I am totally addicted to this show! Thank goodness this show came on right when I had Baby Gummybear! Spending sleepless nights with Lee Joon Gi sure helped me feel less exhausted. 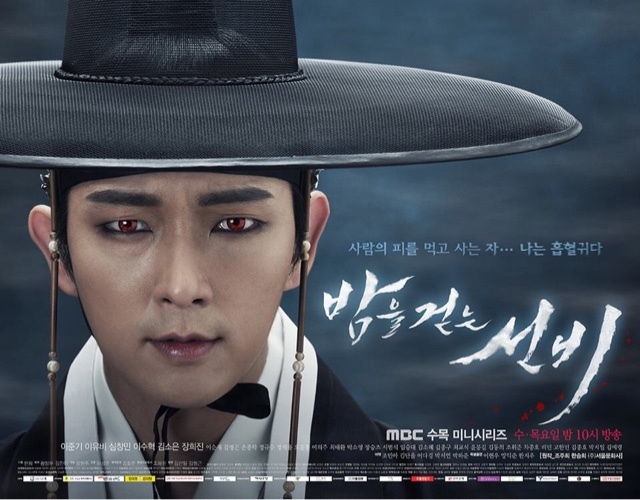 I watched because I love historical dramas and I like vampires (not a Twilight fan, though: vampires need to have fangs and die in sunlight, plain and simple), and all the actors look great! It's primarily a romance between a sophisticated and educated vampire on a mission, and simple, good-hearted bookseller who cross dresses as a man. I'm only going to say that this cross dressing thing is not a commentary on society or any of that social crap. It's part of the plot. I'm not going to analyze or critique the show either. It's purely entertainment and It was worth the 20 hours I put into it (20 episodes, 1 hour each). You can watch it on Dramafever or Viki. You can read reviews and critiques on Dramabeans.com. Beauty note: these guys.... these GUYS have better eyeliner than most girls I've seen!! !